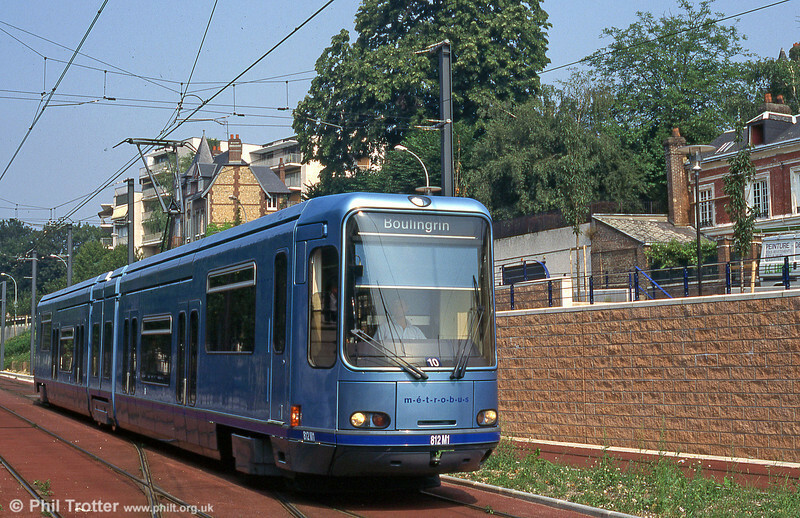 The current tramway at Rouen opened in 1994. Cars used are the GEC Alsthom Tramway Français Standard (TFS2), silmilar to those used at Grenoble and Paris. These, however, are due for replacement. Visited in August 1995. Car 812 at Boulingrin in August 1995.